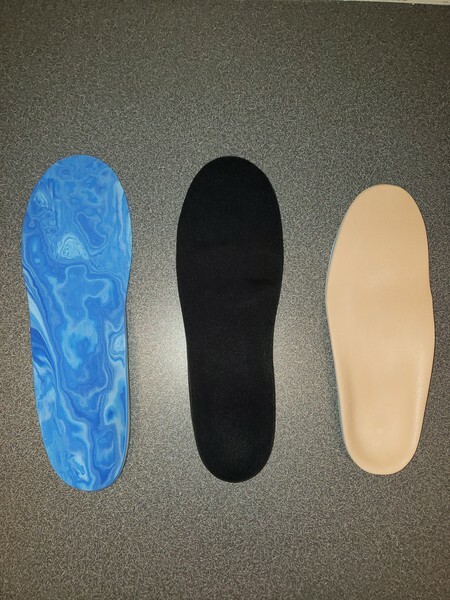 We offer many custom orthoses. These include braces for the upper extremities, lower extremities and spine. However, not all of our patients have the need for a custom orthosis. 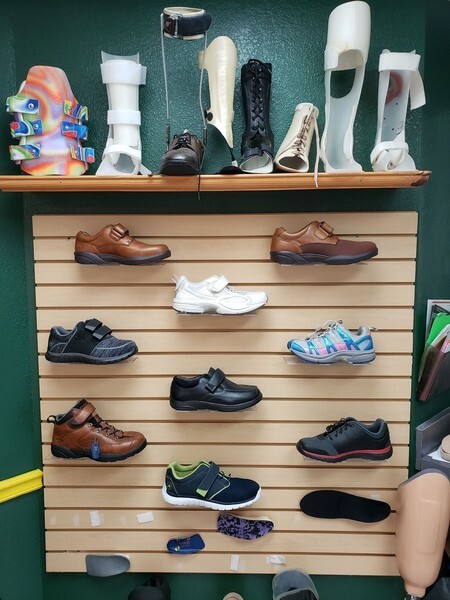 That is why we offer a variety of pre-fabricated, or off-the-shelf orthotics; from upper extremity orthoses to shoes. Whether it's playing your favorite sport or just performing your everyday activities, we have just the right orthosis to provide the support and comfort you are seeking. We will fabricate custom orthoses, when appropriate. When a custom fabricated brace is the best option for the patient, the initial appointment may include a mold and/or measurement. Depending on what is being done, this may include fiberglass casting, foam impressions or digital imaging. 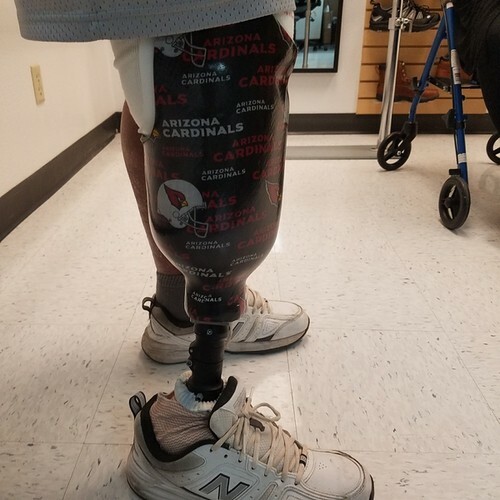 We fabricate custom AFOs (ankle braces), knee braces and spinal braces. We take great care in accommodating anatomic anomalies in our casts. This ensures formfitting, effective braces. Our certified practitioners will become your partner in helping you re-gain a normal, active lifestyle with your prosthesis. 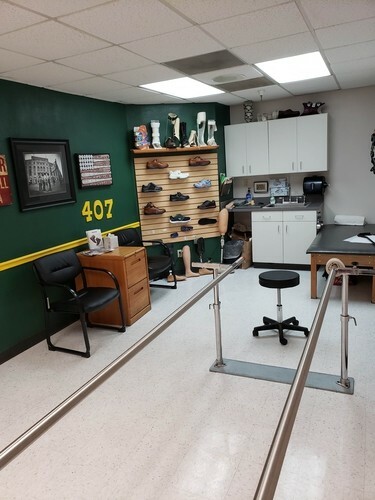 You will work closely together with your prosthetist, so be sure to provide input and ask questions that you don't understand about your care. 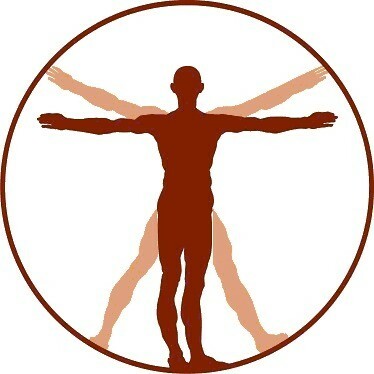 Your health, recovery and quality of life are our top priority. 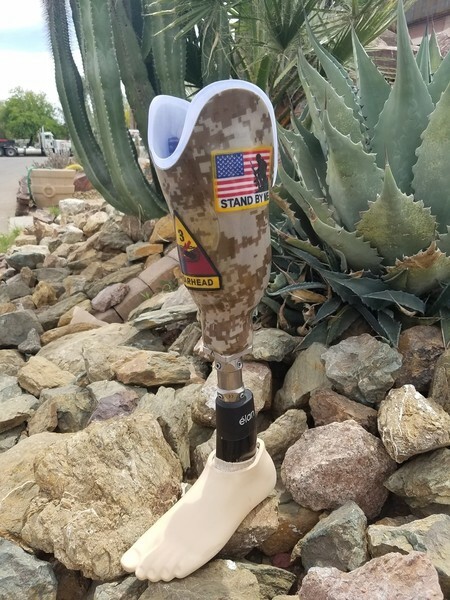 There are a variety of prosthetic devices available to the amputee. They range from the strictly utilitarian to very realistic, cosmetic, functional replacements. Your prosthesis will be designed accordingly to fulfill your specific needs. 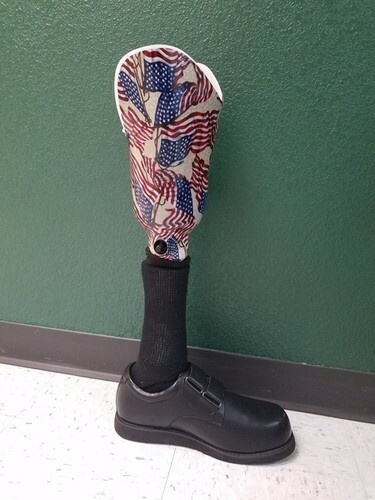 Here is an example of one of the custom prosthetic options we offer. Custom butterfly wrapping for prosthetic. 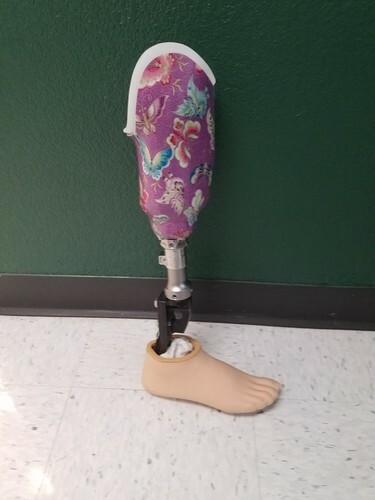 An example of a custom prosthetic designed specifically for a customer. One of the custom prints we offer. Diabetic shoes differ from normal shoes, in design, because they are known to be “extra depth”. They are also known to be therapeutic shoes. 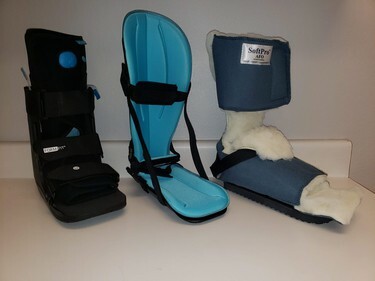 However, footwear and accessories are not limited to diabetic shoes—they can also be specially designed shoe inserts (orthotics) one can use with regular shoes for non-diabetics. Diabetic shoes not only provide more comfort for the patient wearing them, but also have a clinical purpose as well. Diabetic shoes are designed specifically to help diabetics avoid issues such as skin breakdown, especially if a person is currently suffering from a foot disease. Here is one of our office rooms! We accept most major insurance carriers and would be happy to verify your insurance over the phone. Prior to scheduling your appointment, please let us know if a physician has provided a prescription for your desired brace. At O&P Care, we believe in putting patients before profits. Our name says it all. We provide three things. Orthotics, Prosthetics, and we Care.